ITC tariff adder cut, just as costs are showing up! 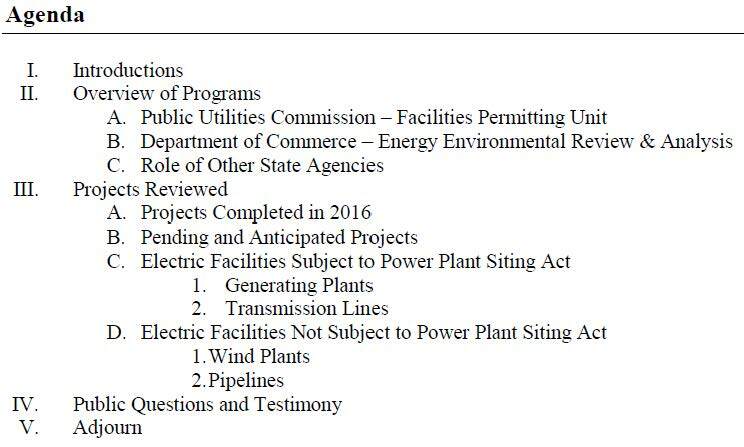 In an interesting twist that will take some digging to fully understand, ITC got smacked upside the head recently at FERC. Well, a little, but they should have been sent packing altogether. I love it when they don’t get their way, but there’s also no justification for the 50% adder, no way, no how, not in this day of low, low prime rate interest. 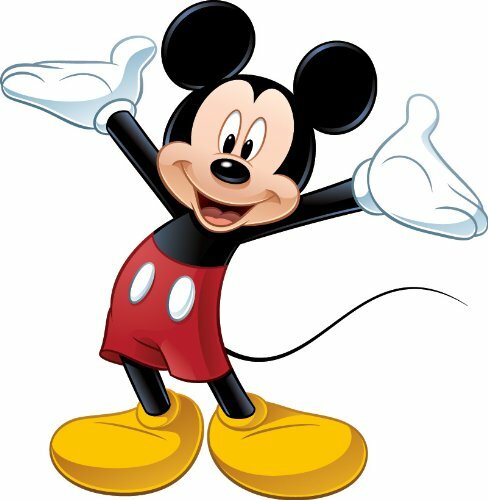 ITC Midwest – ALJ’s Recommendation due tomorrow! 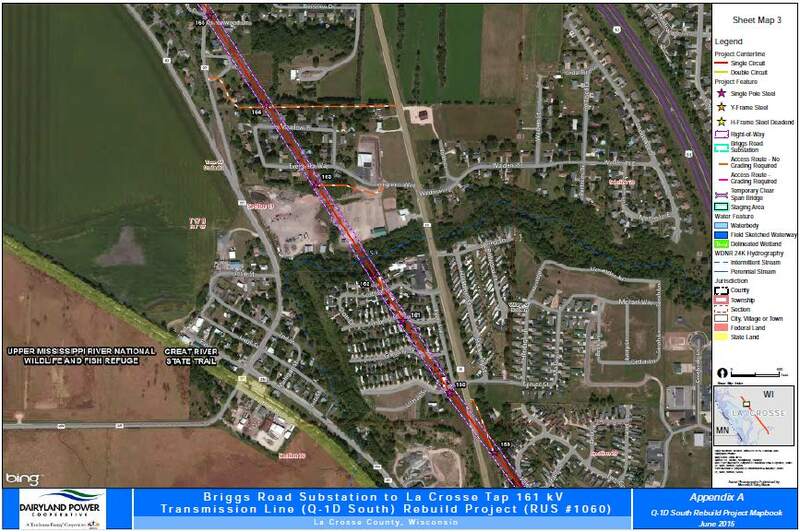 Monday, September 8, 2014, the ALJ’s Recommendation on the ITC Midwest MN/IA Transmission line is due — for the Certificate of Need and the Routing dockets. To see the full docket, go to the PUC SEARCH PAGE and search for dockets 12-1053 (CoN) and 12-1337 (Routing). This is important because it’s the opportunity for not just parties, but for “any party adversely affected” to address the specific parts of the ALJ’s Recommendation that are a problem. No CapX 2020 will be filing Exceptions. 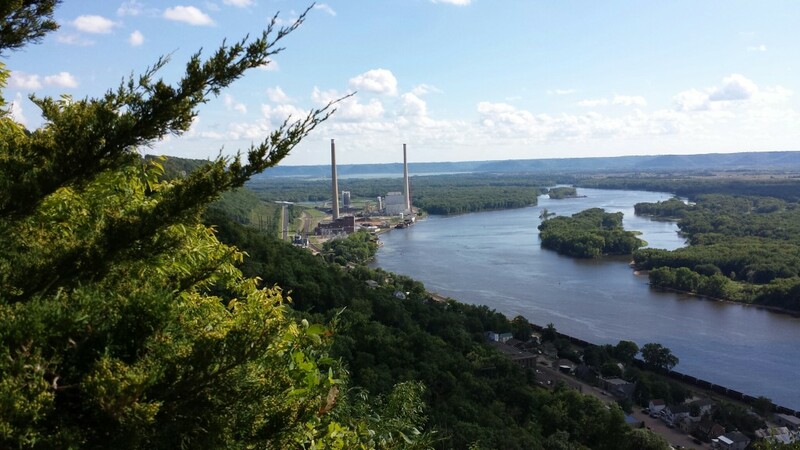 Yesterday we went off for a picnic at Alma’s Buena Vista Park, with the beautiful “Buena Vista” overlook, a new picnic table right near the edge of the lookout, the buena vista over… well… over the new CapX 2020 line and the Alma John P. Madgett coal plant owned by Dairyland Power Cooperative. 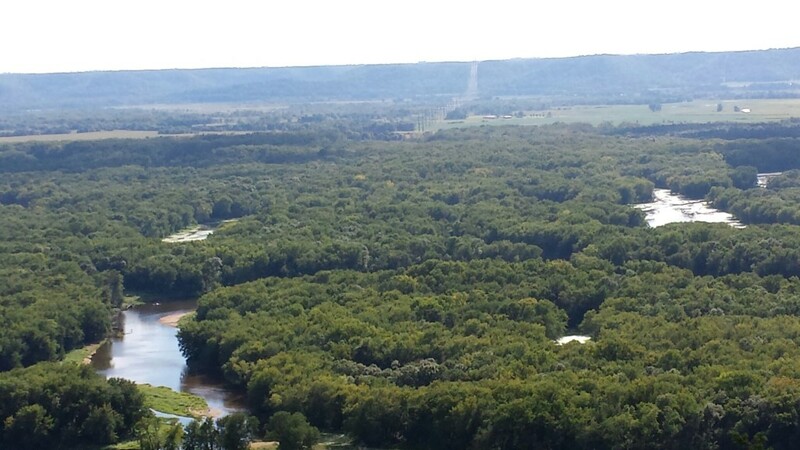 CapX transmission has made it to the edge of the Mississippi, and no further. 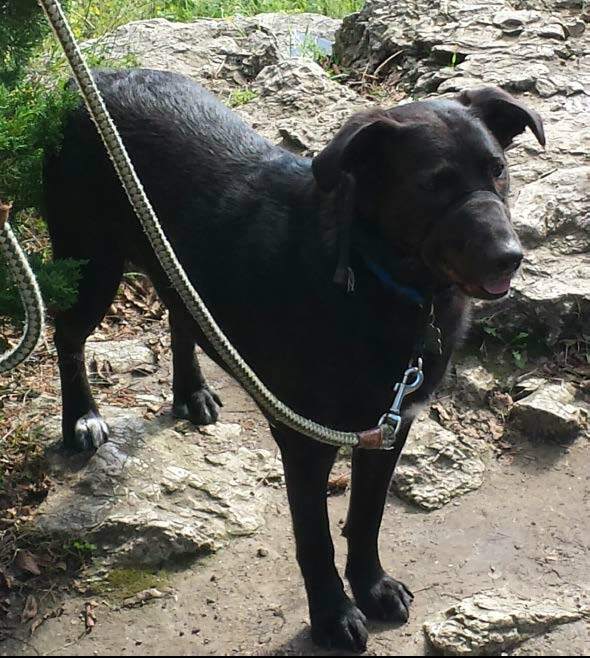 What can I say… Little Sadie took one look, squatted, and promptly left her editorial and aesthetic opinion. Some residents of a housing development just north of Blue Earth received some shocking news last Thursday. 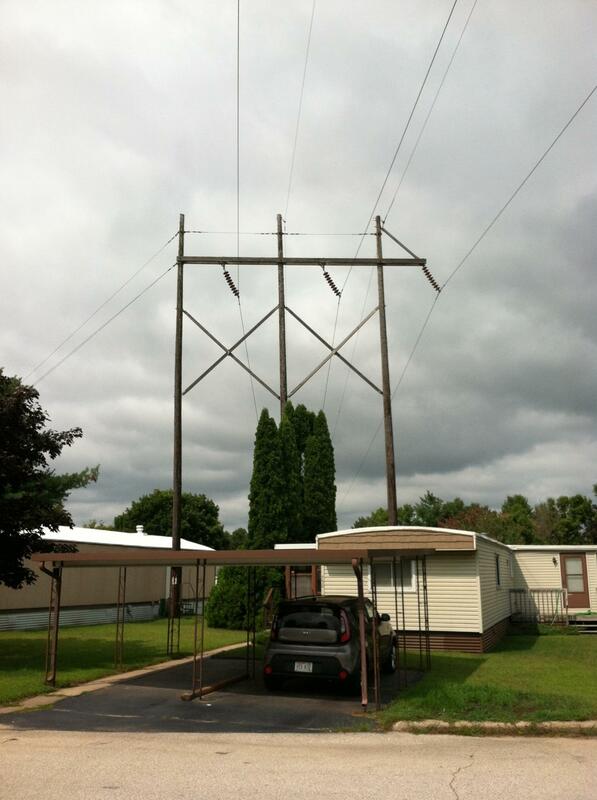 A large, new electrical transmission line could possibly be joining the neighborhood. The Minnesota Department of Commerce held two information and listening sessions at Hamilton Hall in Blue Earth last Thursday to explain the project and gather any comments concerning it. ITC Midwest is seeking a state permit to build a 73-mile long, 345 kilowatt electrical power line using 130 to 190 foot tall towers. 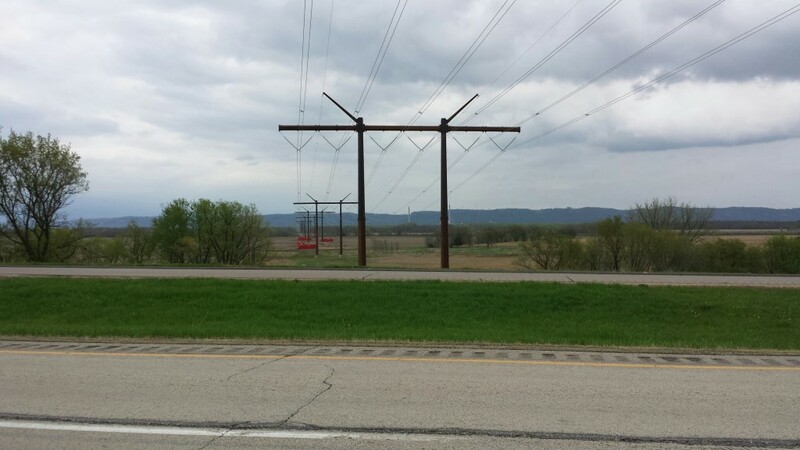 The transmission line will start near Jackson, travel east to near Huntley, then turn south to the Iowa border. The route from Huntley south to the Iowa border will be along the western edge of Faribault County. 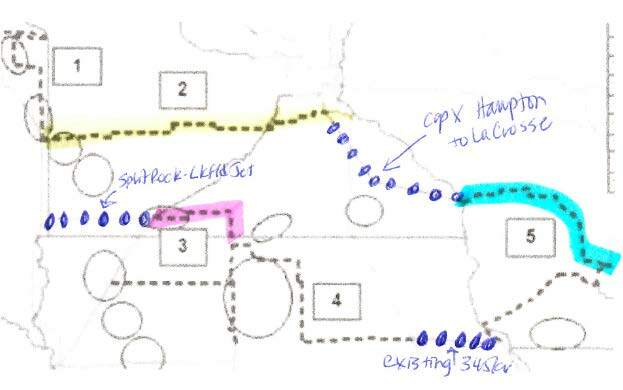 There are multiple variations of the proposed route. One of those alternate routes brings the line very close to the Riverside Heights development just north of Interstate 90. Faribault County commissioner John Roper echoed those comments. A staff member of the Minnesota Department of Commerce, Ray Kirsch, replied he thought a copy of the environmental impact statement (EIS) had been sent to the county planning and zoning office. Besides the two meetings in Blue Earth, there also were listening sessions held in Jackson and Fairmont. Then on May 13 and 14, an administrative law judge will hold comment sessions in Blue Earth, Fairmont and Jackson. Anyone can attend those sessions with questions, concerns and comment, Kirsch says. On Thursday, approximately 50 people attended the afternoon comment session and about a dozen were at the evening one. Ten people made comments for the record, including several other residents of Riverside Heights. Those giving comments included Tim Steier, Jeff Moore, Al Roesler, Carol Moore and Morris Hanson, as well as several persons from out side the local area. Running a 345-kilovolt transmission line just north of Interstate 90 — or even along it in some places — would be better from an aesthetic and agricultural standpoint than a route farther north, but worse in that it could affect an area of historical importance. 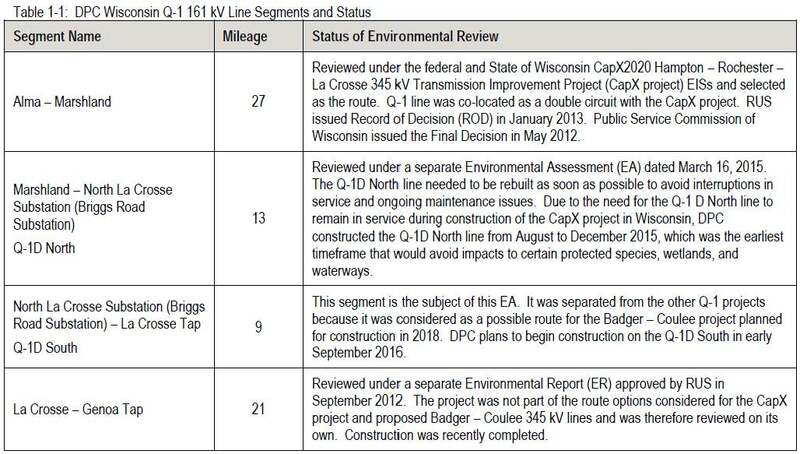 That finding is included in the draft environmental impact statement prepared for the ITC Midwest 345kV Transmission Line Project by the Minnesota Department of Commerce. 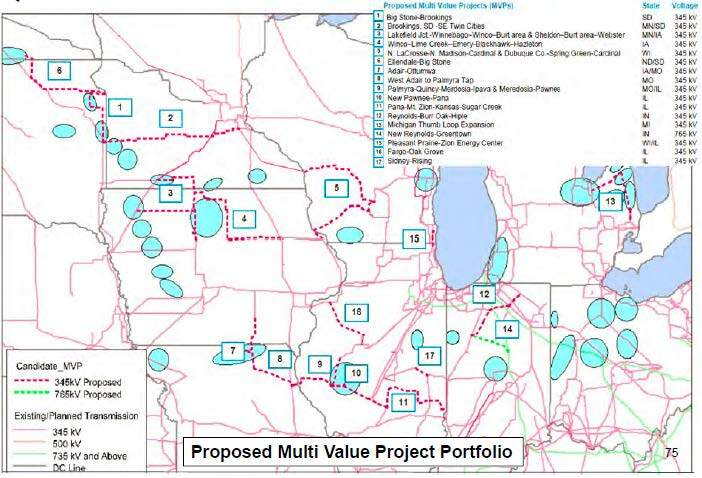 ITC Midwest is proposing to construct a 73-mile transmission line from Lakefield east to Huntley, between 15 and 20 miles of which will run across Jackson County. 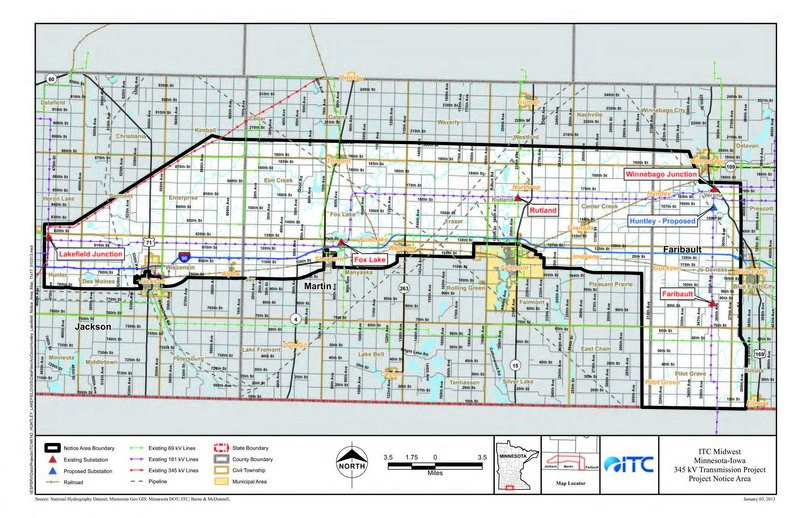 ITC Midwest has proposed two primary route options through Jackson County, one running nearly straight east from Lakefield along County Road 14 and 820th Street, the other running along the south edge of Boot Lake, jumping north along County Road 19, heading east at the intersection of County Road 16 and stair-stepping its way up to County Road 22. 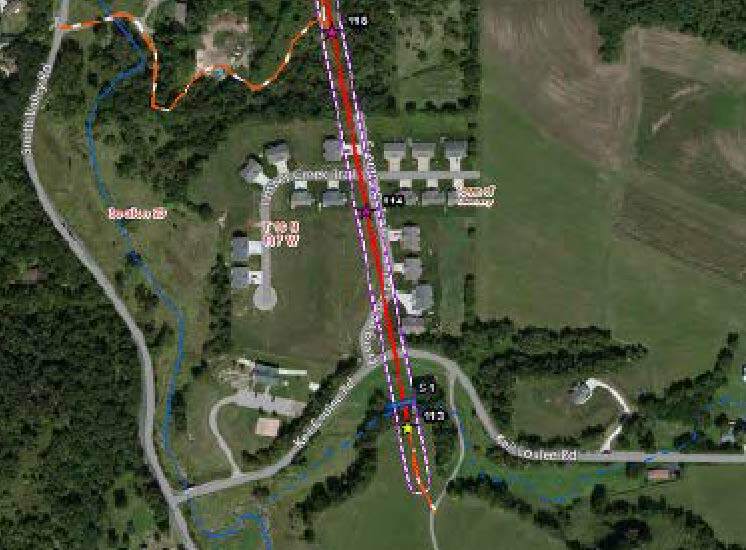 FAIRMONT – Two meetings held in Fairmont on Tuesday offered information from a draft environmental impact statement for the proposed ITC Midwest 345-kV transmission line project. An original plan had the line running south of Interstate 90 on the north end of Sherburn, something that had many Sherburn residents concerned. 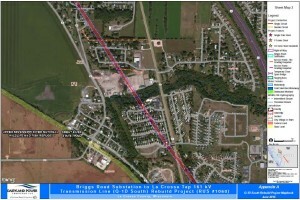 But a modified route puts the transmission line north of the interstate instead. While many in Sherburn may breathe a tentative sigh of relief, the original route will not be completely off the table until fall, when the state Public Utilities Commission decides on the certificate of need and route permit. 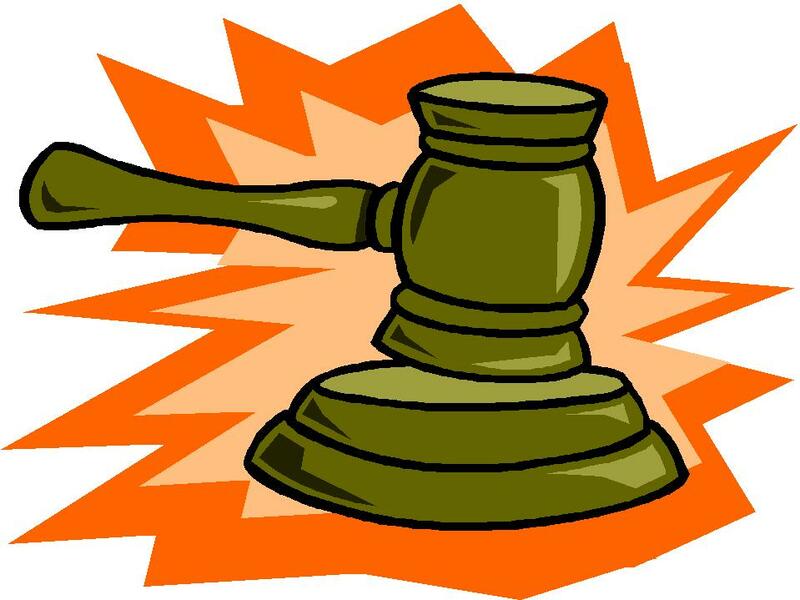 To help, an administrative law judge is called in to review the project and issue a decision. “The commission is not bound by the judge’s decision, but it holds a lot of sway, since they are the ones that hire him,” said Ray Kirsch, environmental review manager with the Minnesota Department of Commerce. The judge is present at public hearings, comment periods and contested case hearings. Public hearings for the project will be held May 13-14. Comments also are being accepted from now until May 9. Several people in attendance Tuesday at the Knights of Columbus Hall spoke on the record, many of them Sherburn residents who voiced concerns about the original route plan that took the lines into town. Mixer went on to explain that the building is all metal, and the lines would likely interfere with the building’s P.A. system, low-level radio frequency that helps the hard of hearing and the church’s video transmission. But those problems pale in comparison to the potential dangers the line would pose to those who attend the church, he argued. 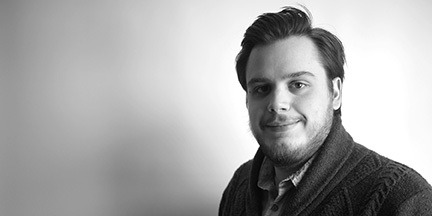 “If something were to fail with those lines, it would be catastrophic,” Mixer said. Health concerns also were expressed by others in attendance. There also were concerns about property values. 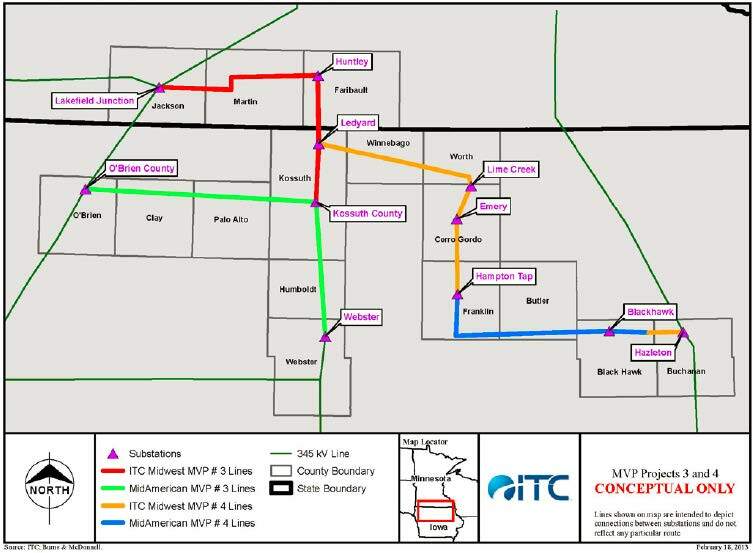 As we say in transmission, “It’s all connected.” This post is about the connections between what’s been proposed by ITC Midwest as the MN/IA 345 kV project, and its relation to other projects in the area and its place in the “package deal” Multi Value Project (MVP) Portfolio. 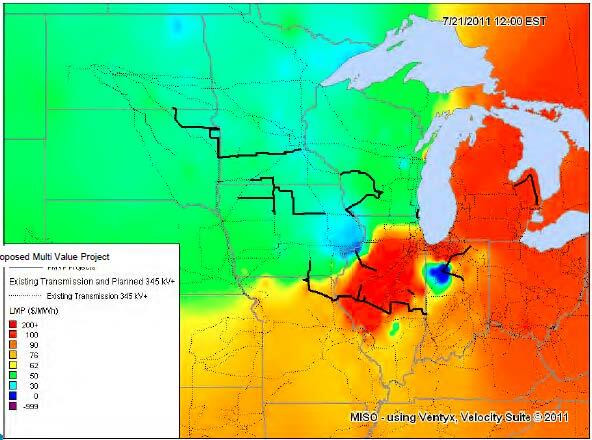 Remember in looking at these maps that in the Midwest, power flows roughly from the NW to the SE. MVP 1 in the NW corner of this map runs from the Big Stone coal plant to the Brookings substation. 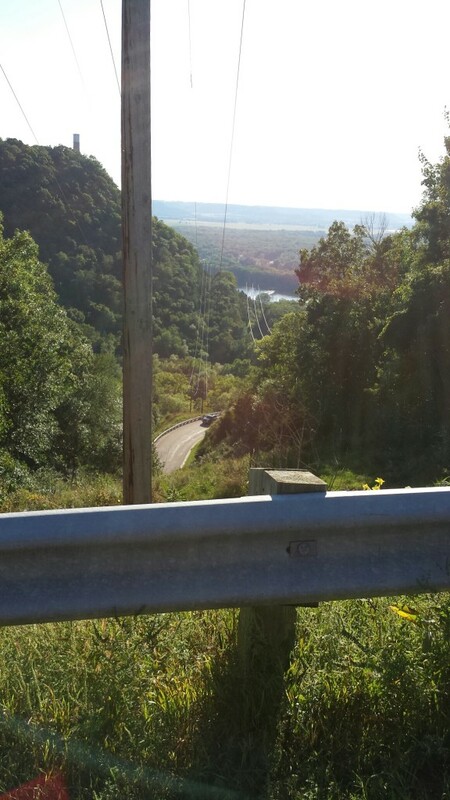 MVP 2 is the CapX 2020 Brookings-Hampton transmission project. No CapX 2020 and CETF intervened in the CapX 2020 Certificate of Need docket (06-1115) and No CapX 2020 and U-CAN intervened in the Routing docket (08-1474). MVP 3 is in part, this ITC Midwest MN/IA line, in pink on the map, divided roughly 50/50 between Minnesota and Iowa, and 50/50 between ITC Midwest and Mid American. MVP 3 surrounds the “3” in the map, above, like a tuning fork, with two forks running west to east, and then a connecting line running north/south. 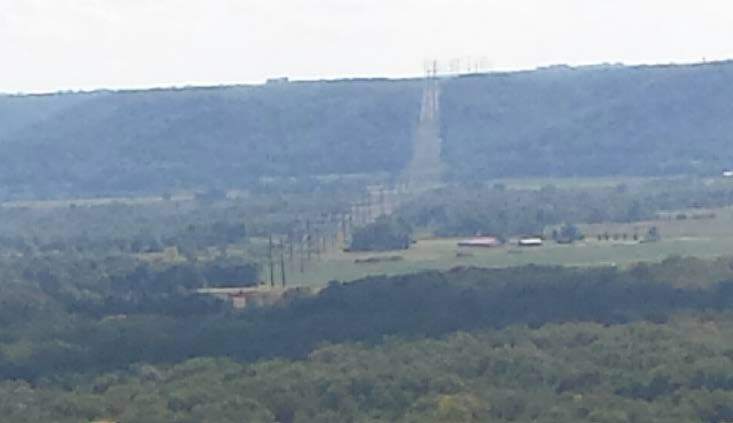 MVP 4 runs eastward from MVP 3, and connects into existing 345 kV transmission, the blue dots. MVP 5 is in part the Badger Coulee line, in blue on the map. 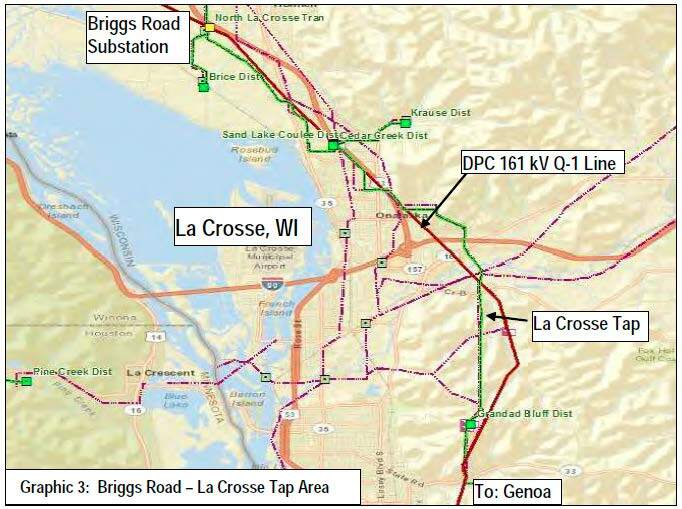 Note the connecting blue dots between MVP 2’s Hampton substation through SE Minnesota to La Crosse, WI. As above, CapX 2020 and CETF intervened in the CapX 2020 Certificate of Need docket (06-1115), and No CapX was an intervenor in that routing docket, jointly with U-CAN and North Route Group. The other part of MVP 5 is the part connecting MVP 3 and MVP 4, via existing transmission, into MVP 5 and running towards Madison. The “benefit” of being able to sell power for so much more than is currently possible is one hell of a benefit! It’s connected by benefits — the “benefits” claimed are the benefits achieved if, and only if, all 17 MVP projects are operating. All the modeling was done with that assumption, that ALL of the 17 projects are operating. More in a bit — up next is cost info — there’s additional MISO stuff I need to look up. Center for Rural Affairs is SILENT! “My job as RE-AMP’s Clean Energy Working Group leader is to facilitate interaction between top-level clean energy thinkers to keep us on target to reach our global warming pollution reduction goals,” Ninneman stated. No wonder it was so quiet back there — and hey, why’d y’all leave so quickly? 100 discrete media pieces, examining a total of 14 different transmission projects. Each piece was then analyzed and organized based on the clear concerns identified within. Those concerns were used to inform the common themes used in the review section, and to provide data that gives insight into the general views of stakeholders. 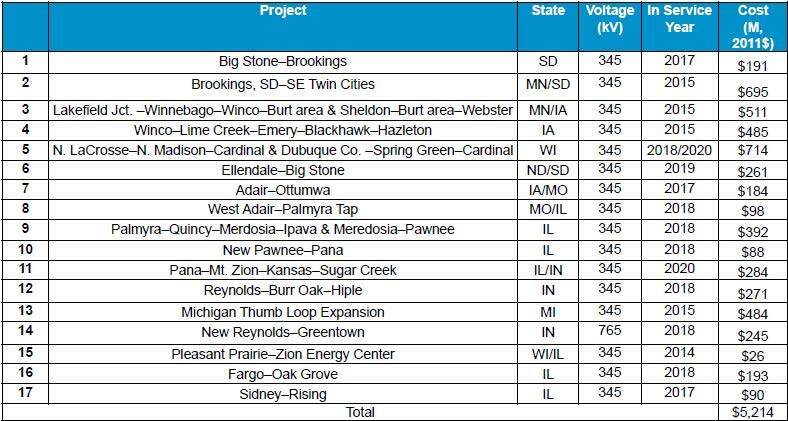 Of these projects, I’ve worked on half of them — the only ones I’ve not worked on are the Reynolds-Topeka, Grain Belt Express, Rock Island Clean Line, Illinois Rivers, Plains and Eastern, Center-Grand Forks, and Gateway Power. What conclusions did they draw? 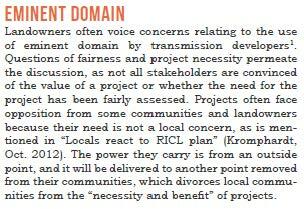 Center for Rural Affairs takes the position in this report, for example, ono p. 8, that “As transmission serves a public need, utilities and developers serve as agents of the government and can receive this power.” NO!!! 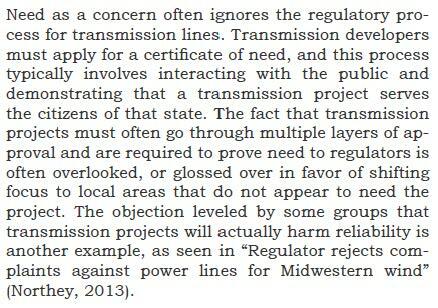 Much transmission does NOT serve a public need, and in particular, this ITC Midwest serves a PRIVATE desire, not need, the desire for profit. And in the section on “need” there is utter disregard for the statutory criteria for need! The bottom line of this “report” is an exercise in figuring out how to best handle objections, get these projects through, circumvent the obstacles, or as Beth Soholt says, “remove the impediments,” (I say, speaking as a proud impediment! ), inherently presuming that the projects should go through — and what should be disclosed in this “report,” and which is not, is full disclosure of the Center for Rural Affairs’ motivation for publishing this, i.e., did they get paid for this, and why would they take money to do this? 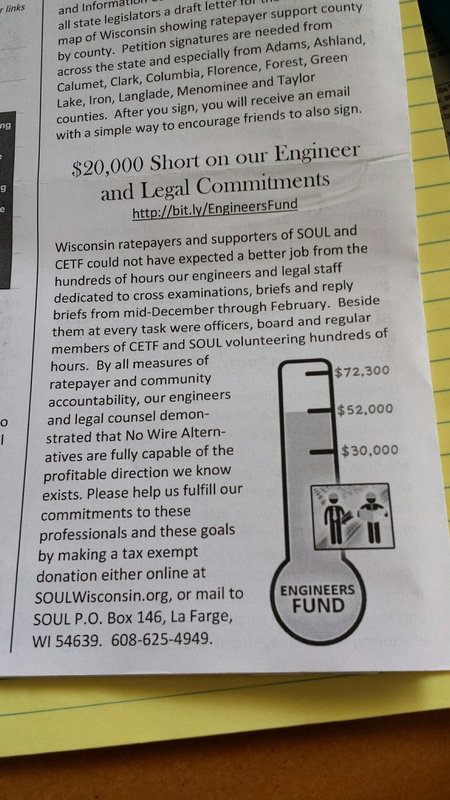 If they’re agriculturally focused, shouldn’t they be furthering landowners’ interests, helping explain eminent domain and helping landowners protect themselves from egregious developer/utility eminent domain practices? I could go on and on, but you can see for yourself by reading this report that it’s a RE-AMP transmission promotion puff piece. Nothing more. It’s unfortunate that they don’t contribute to this need or routing process, don’t help landowners, farmers, and agricultural interests. They’re the Center for Rural Affairs, but they’re not furthering their mission, and instead are working against it, and in favor of, and for, utilities and transmission developers. What’s their mission? And then there’s this RE-AMP promotion of transmission and revenue generation — RE-AMP_Foundations_Master_Grant_List. How does that fit in to their mission? 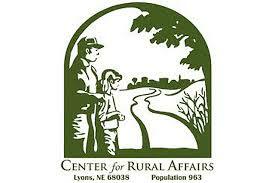 Center for Rural Affairs‘ budget is over $5 MILLION annually. Do they “need” the money that badly? I think the term “Affairs” is off point, and a little baser word would be more apt… we know what y’all are and we have an idea of your price!